Students in K5 and their parents will meet with their teacher for 30 minutes on an individual basis. The orientation appointments will be held either on Monday, August 13, or Tuesday, August 14, and will be scheduled in early August. Students in Grades 1-2 and their parents will meet with their teachers in scheduled, small groups on Monday, August 13. Appointment slips will be included in the welcome packet being mailed no later than early July. Students in Grades 3-6 and their parents will meet with their teachers in small groups on Monday, August 13. We highly recommend bringing your child's school supplies to the Classroom Orientation. The first day of school will be a regular, full day with Before- and After-School Care provided. 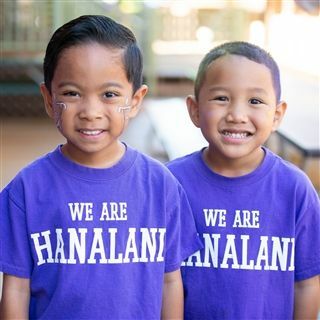 Students are required to wear the Hanalani Schools uniform on this day. Students in K5 start on Wednesday, August 15 at 8:05am. Students in Grades 1-6 start on Tuesday, August 14 at 7:55am. For safety reasons, K5 students should wear socks and fully enclosed athletic shoes, especially on P.E. days. K5 students may wear shoes with laces only if they know how to tie them. Girls may also wear sandals on non-P.E. days. The sandals must have a back strap and no heels. For safety reasons, students in grades 1-6 should wear socks and athletic shoes on P.E. days. 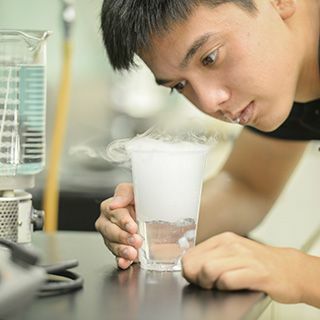 On non-P.E. days, boys should wear shoes and socks while girls may wear sandals. The sandals must have a back strap and no heels. Time periods between doses must meet the Hawaii Department of Health requirements. 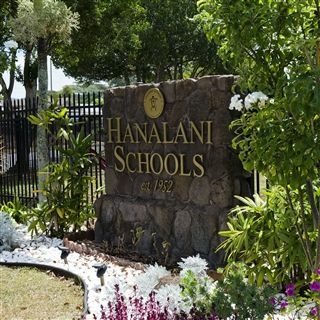 Students missing the required immunizations or the required documents will not be permitted to enter school on the first day (Hawaii Administrative Rules Title 11 Chapter 157, Department of Health Immunization Branch 586-8313). 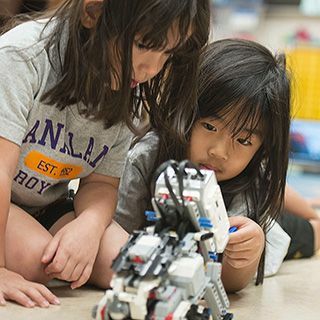 If you have any questions regarding the Hawaii Department of Health requirements, you can contact the Hawaii Immunization Program at 586-8332. 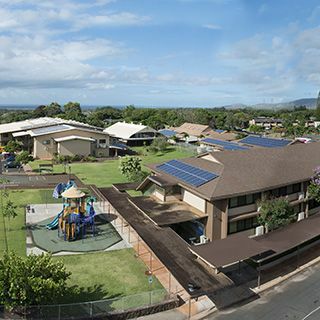 You can also call us at (808) 625-0737, extension 450 (Grades K5-1) or extension 451 (Grades 2-6). Lunch can only be purchased with a lunch coupon. Lunch orders are taken daily in the classroom. Coupon books are available for purchase in the Campus Store. Each coupon book contains 20 coupons. Grades K3-2 coupon books cost $95. Grades 3-6 coupon books cost $105. Lunch coupons allow the purchase of a complete meal, including an entrée, fruit, vegetable, and milk or juice. A school lunch menu is sent home at the beginning of each month and is also available on the school’s website. School lunch will be available on the first day of school. Tuesday, August 28 will be Picture Day for all Elementary students. All students will be required to take a picture for yearbook and school ID purposes, whether or not a package is purchased.